In January, when reports began to surface from Latin America that the mosquito-transmitted Zika virus was linked to birth defects and neurological disorders, the meetings and incentives industry held its breath. Given the affected countries are prime program destinations, how would this affect business? 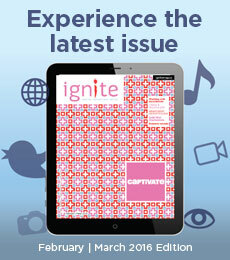 In order to get an accurate picture of the situation—and what’s being done to best react to it, we’ve canvassed the pros and will be featuring their views in the April issue of Ignite. But in the meantime, we’re sharing part of our insightful interview with Anthony Byron, president of Meridican Incentive Consultants in Markham. 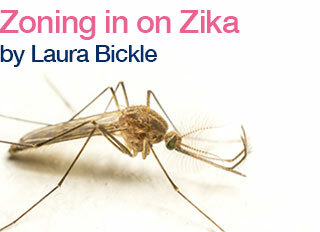 Have you cancelled a program due to concerns about the Zika virus? We haven’t had any program cancellations, but we have had a handful of travellers who have withdrawn because of personal concerns. What are you doing to best deal with the outbreak? Our responsibility, morally and legally, is to make clients aware of the situation, as fluid as it is at the moment. What we don’t know is as important as what we do know. We have to be careful not to overreact and to advise our clients of what the Public Health Agency of Canada, the World Health Organization and the Centers for Disease Control and Prevention are saying. Then it is the client’s decision. It’s their business, not our business. Have you adjusted your destination recommendations because of the outbreak? We work one to two years in advance. We’re widening our menu to offer options out of the areas of concern. How do you think the outbreak will impact the incentive travel industry? I don’t think there will be a negative impact because this is a dynamic industry. There will be challenges for destinations. Our industry adapts. We have to react and be fluid. Our industry does that very well. 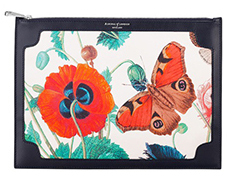 This clutch oozes luxury and bespoke craftsmanship. With eye-catching floral themes from a summer garden, this is the way to banish the winter blues. Handmade from pure silk and navy Italian leather, this versatile accessory is sure to please. 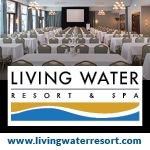 Living Water Resort is the only waterfront meeting venue in the Blue Mountain Collingwood region. 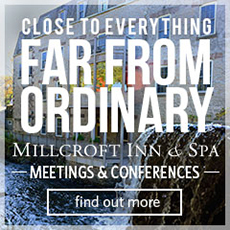 Book your meeting and get up to $1,000 worth of free spa, golf and accommodations! The Business Events Industry Coalition of Canada (BEICC), in partnership with Ryerson University is initiating research on the Canadian Economic Impact Study (CEIS) 4.0. The first stage in this research is to establish a database of willing survey participants. Business events, from huge conventions and trade shows to smaller conferences and seminars, have become a big business in Canada. The last version of the survey, CEIS 3.0 was released in March 2014. It is time to refresh the figures and to that end, we need your help. Please click this link to go to the BEICC site to sign up to complete the survey for CEIS 4.0. The new survey will follow the same protocols as 3.0 so we will be able to provide trend analysis along with regional and national data. This survey is vital for the industry so BEICC hopes everyone will get on board to participate. A recent survey conducted by the Association of Corporate Travel Executives and The Conference Board of Canada suggests corporate travel in Canada will decrease by two per cent this year. Over 57 respondents, directing a combined travel volume in excess of $700 million were interviewed for the study. Causes cited for the downturn include budget restrictions, the use of travel alternatives and fewer travelers. (Thousands of oil industry employees have been furloughed or put on restricted travel). The survey also found that many companies are accommodating the shared economy, with ground transportation reimbursed by 50 per cent of responding companies, and shared accommodations reimbursed by 21 per cent. The Querido Representation Company has incentive and group experiences designed to get hearts racing. Projekt Spielberg is a two-hour drive from Vienna and features seven charming hotels and the Red Bull Ring—home to European Formula One Racing. Whether your favourite mode of transport is two or four wheels that accelerate from zero to 120 kilometres per hour in four seconds, any automotive or cycle enthusiast will think they’ve died and gone to heaven. For groups with less drive, equally as elegant family-owned boutique properties are located in Provence, Marbella and the Puglia region in Italy. Toronto-based Darryl Nielsen is now the North American representative for Querido Meeting and Incentives. Why go: Education, speakers, a trade show, expert advice and industry awards make this a show to attend. Why go: This always sold-out event features great networking opportunities and a fantastic silent and live auction. Where: Globally – Consult your local MPI Chapter for more info on an event near you! What’s in it for you: Connect and network with colleagues and show your support to our industry. This position in Chatham, Ont., is responsible for managing all of the company’s internal and external events, including workshops, conferences and trade shows. As a corporate event planner, you will oversee site selection, contract negotiations planning and project management. You will have a university degree or college diploma, seven to 10 years of event experience and CMP designation or related experience. There is extensive travel, overtime and flexible work hours, including weekends in this role. As a full-time event planner, you will be responsible for assisting in the review of administrative procedures and progress of events and conferences, and in the preparation of operating budgets, maintaining inventory and budgetary controls; organizing registration of participants, preparing programs and promotional material, and publicizing events; and coordinating accommodation and transportation. A Bachelor's degree in business, economics, public relations or marketing is required. Toronto-based Herjavec Group is looking for a marketing and events coordinator to oversee the overall planning and execution of group events. You will be required to establish and monitor event budgets, delegate tasks and source venues, entertainers, speakers and exhibitors. You possess excellent communication skills, able to work independently and proficient in Word, Excel and PowerPoint. 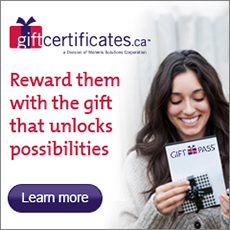 You have post-secondary education with event management courses preferred.